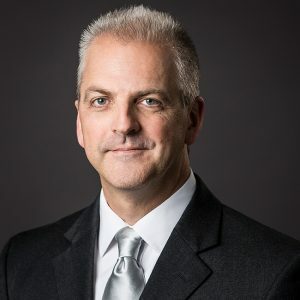 Wichita, Kan.—(March 22, 2019)—High Touch Technologies is excited to introduce its new President and CEO, Derrick Nielsen. This news comes off the heels of President and CEO Wayne Chambers’ retirement announcement on March 8, 2019 after 15 years at the helm. Nielsen’s official start date is scheduled for April 15, 2019. Chambers will continue his role alongside Nielsen through the end of April to ensure a smooth and effective transition. It may seem like a quick decision following Chambers’ retirement announcement, but High Touch’s board of directors have been working with Chambers on a succession plan for the past couple of years. Nielsen is no stranger to High Touch or many on the company’s leadership team. High Touch was a long-term client during his sixteen-year consulting career. He designed and led the company’s strategic planning process from 2009-2014, helping the organization create a vision and strategy to grow and diversify its business. He worked closely with Chambers and the company’s senior leaders as the organization transformed itself into a diversified technology solutions provider. Nielsen arrives at High Touch following four years as Vice President of People Operations and a member of the executive team at Charles Machine Works, a leading equipment and solutions provider to the underground construction industry. Prior to joining the company as a full-time employee, he also designed and led their strategic planning process for nine years as an outside consultant. During this time, Charles Machine Works has experienced tremendous growth and diversification, expanding well beyond it largest and most well-known brand Ditch Witch to become a family of seven strategically-aligned companies. Nielsen’s consulting work with High Touch and Charles Machine Works came during his ten years as Vice President of Organizational Development at Allen, Gibbs and Houlik (AGH) in Wichita. His practice focused primarily on strategic planning and leadership development, working with organizations from a broad range of industries, including telecommunications, manufacturing, construction, banking, technology, not-for-profits and various trade and industry associations. In fact, Nielsen already enjoys strong relationships with some of High Touch’s key customers and community partners from his consulting days. Nielsen will work with Chambers through a month-long transition period, meeting with High Touch’s market teams in Corpus Christi, Dallas, Denver, Kansas City and San Antonio. Chambers will also introduce Nielsen to many High Touch clients and important stakeholders. Chambers believes working alongside Nielsen will help align his outside perspective with the strategic initiatives already being implemented by the company’s strong leadership team. Following Nielsen’s onboarding, Chambers will continue to serve on High Touch’s board of directors. High Touch delivers client-tailored software, technology and business communication solutions that solve unique challenges in any industry. With key strengths in rent-to-own, healthcare, manufacturing, non-profit, professional services and utilities, High Touch helps businesses grow by expanding their technology and communications capabilities.